Inspiring excellence through artistic mastery, discipline, and musical integrity. David R. Thye is a passionate conductor, educator, lecturer, and clinician. While inspiring excellence through artistic mastery, discipline, and musical integrity, Dr. Thye consistently delivers cutting-edge live performances with sincerity, focus, passion and enthusiasm. 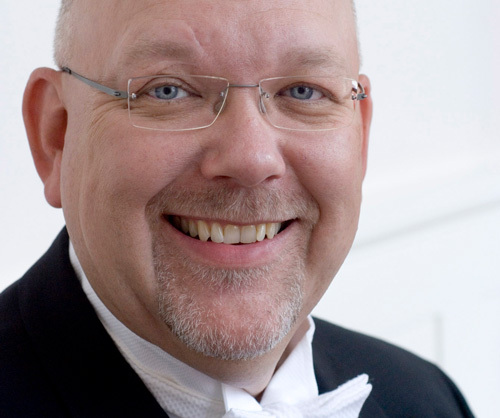 In addition to his work with MidAmerica Productions and MidAm International as Conductor-in-Residence, Dr. Thye is the Artistic Director and Principal Conductor of Arizona Cantilena Chorale, and also remains active as a conductor of music festivals across the U.S. and abroad. As a professor he was the Robert L. Burton chair of graduate conducting at Southwestern Graduate School of Music and music director and conductor of the Master Chorale (the principal chorus of the Fort Worth Symphony Orchestra), director of choral activities at Southwestern College in Phoenix, the University of Montana in Missoula, and the University of Sioux Falls in South Dakota. Having received his B.A. degree in music education and voice from the University of Sioux Falls, Thye began his teaching career as a public school choral director. He earned both M.M. and D.M.A. degrees in conducting from the University of Missouri-Kansas City Conservatory of Music. He has studied with such noted teachers as Eph Ehly, Weston Noble, Margaret Hillis, Don Moses, Robert Shaw, Paul Salamunovich, Rodney Eichenberger, Kerchal Armstrong, Glenn Block, Ron Nelson, Rod Walker and many others. Under Thye’s baton, various high school, collegiate and professional choral organizations have been selected to perform in Lincoln Center’s Avery Fisher Hall and Carnegie Hall in New York City, and numerous premier concert halls and venues across the nation and around the world. In recognition of his outstanding success, the University of Sioux Falls presented him with its Alumni Pacesetter Award. With 41 years of leadership experience in music, Thye has conducted and managed numerous music organizations, from elementary-age to professional-based ensembles—encompassing such varied genres as jazz, choral and symphonic works, musical theatre, opera, and oratorio. At ease with conducting instrumentalists and vocalists, orchestras or choirs, he thrives at combining musical forces in performance and has conducted most of the major choral works in the repertory. As an advocate for outstanding choral music, Dr. Thye has also been a significant force for musical excellence in the church. He has been director of music and worship in several churches with weekly attendance ranging up to 5,000 people.